Popular Nigerian businessman, Jimoh Ibrahim has also lost his father two months after his mother died in a tragic fire incident that occurred at their home in VGC area of Lagos. Sources say Alhaji Yakubu Jimoh died on Sunday in his hometown, Igbotako, Ondo State. While the cause of his death could not immediately be established, however a family source said it might not be unconnected to the manner in which Ibrahim’s mother died. 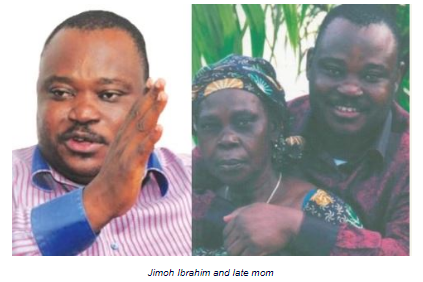 Jimoh Ibrahim who lost his father two months after his mum's death, was said to be estranged with him. Jimoh Ibrahim, 52, is a lawyer, politician, businessman, and philanthropist in Nigeria. He is the chairman and chief executive officer of Global Fleet Group, a diversified conglomerate based in Nigeria, with business interests and subsidiaries in neighboring West African countries.